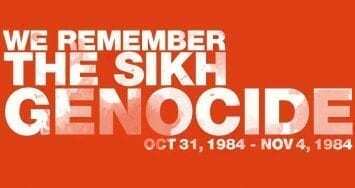 CHANDIGARH, Punjab—In a event organized by the Hondh Chillad Talmel Committee on October 1 at Mohali, 150 new cases of the Sikh genocide during November 1984 came into light. The event in Chandigarh was organized by leaders of Hondh Chillad Taalmel Committee Er. Manvinder Singh Giaspura, Bhai Darshan Singh Gholia and Advocate Barjinder Singh Lunba. Talking with Sikh24 after the event, Er. Manvinder Singh Giaspura informed that 16 of the 150 new cases were death cases. He added that the committee sent a memorandum to the Chief Minister of Haryana, Sri Manohar Lal Khattar asking him to probe the new cases. Engineer Manvinder Singh Giaspura had earlier unearthed the site of “Hondh Chillad” where at least 30 Sikhs were killed by mobs. It took the Government over 5 years to investigate the killings, following which, compensations were provided to the victim families. In a shocking revelation made before the commission, Nabha resident Surjit Singh stated that two his two sisters were killed by Hindu mobs on November 1, 1984 when his family was residing in the Pataudi Amarpuri area. He further informed that his father Gian Singh was also put on fire by Hindu mobs. Similarly, Faridabad resident, Preeti, and Gurgaon resident, Paramjit Singh, explained the tales of brutal murders of their fathers by Hindu mobs. Todapur resident, Shanti Devi, informed us that her husband Surjit Singh and two sons (Harminder Singh and Gurmukh Singh) were murdered by Hindu mobs.